MANY SAAB 4 cylinder engines are failing. You can prevent this from happening. First, be sure your oil pressure light works. This is done by turning the ignition key to the run position without starting the car. 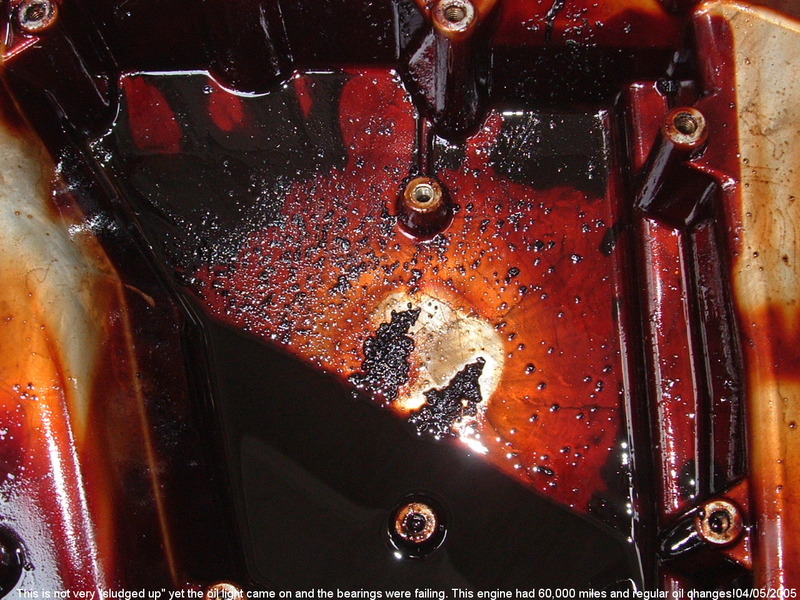 Many people believe the failures occur due extended oil change intervals, and a compromised crankcase ventilation system. For sure, if you changed the oil every 3000 miles from new, you most likely would never have a problem. SAAB has its own litigiously correct opinion. We believe these particles are formed in the turbo, and at the point where oil is sprayed on the underside of the piston, for cooling. Certain of these points approach 700°F, and as the oil's additive package decays, the oil begins to break down. The particles shown are quite soft and will crumble under finger pressure. If the screen mesh were larger as in pre 1994 SAAB engines, these particles would end up in the oil filter and be disposed of during routine oil changes. 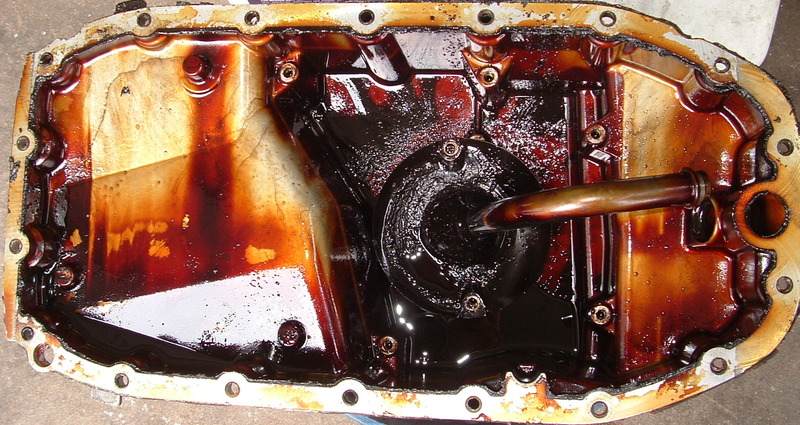 Unless the screen is modified, restriction of the oil pump pickup will eventually occur, resulting in possible engine failure. 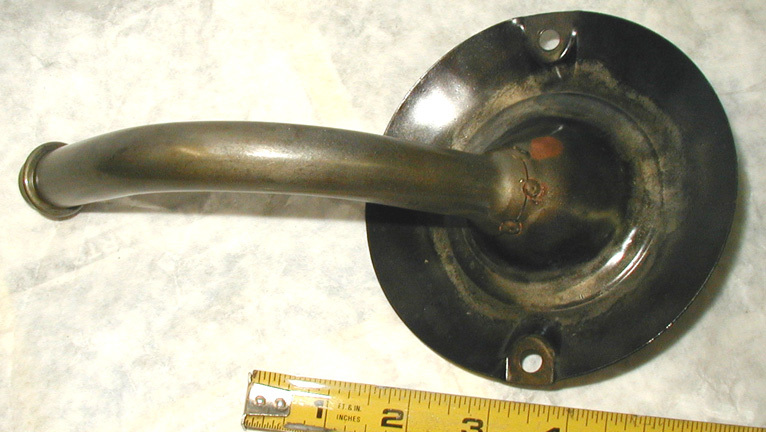 One of the biggest problems with a restricted oil pump pickup is that the oil pressure warning lamp may not turn on until it is too late. We routinely remove the oil pan and modify the oil pickup to prevent the carbon particles from being trapped in the pan. This usually costs less than $400.00 or $800 if we replace the main and rod bearings. One commonly held belief is that moisture causes or accelerates the formation of sludge. We do not disagree, and we wonder if SAAB's trouble with leaking head gaskets contributes to the moisture content in the crankcase. We also wonder if the relative increase in the length of the crankcase ventilation "circuit" is preventing the removal of combustion gases in the crankcase. 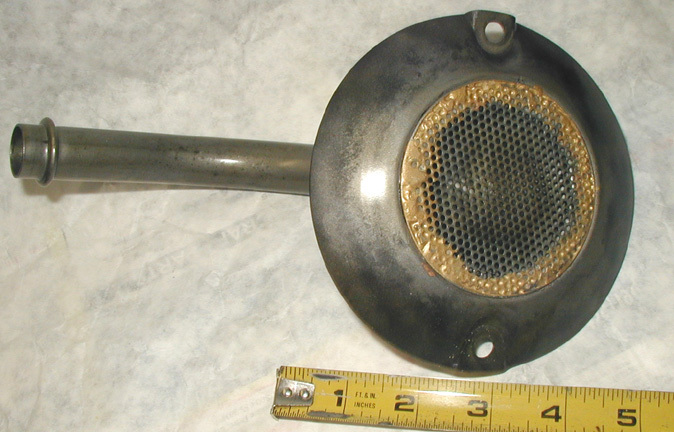 I have had contact with one person who was refused an engine replacement due to "carbon clogging the oil pickup screen", so be sure to call your problem sludge, and tip your service writer generously. 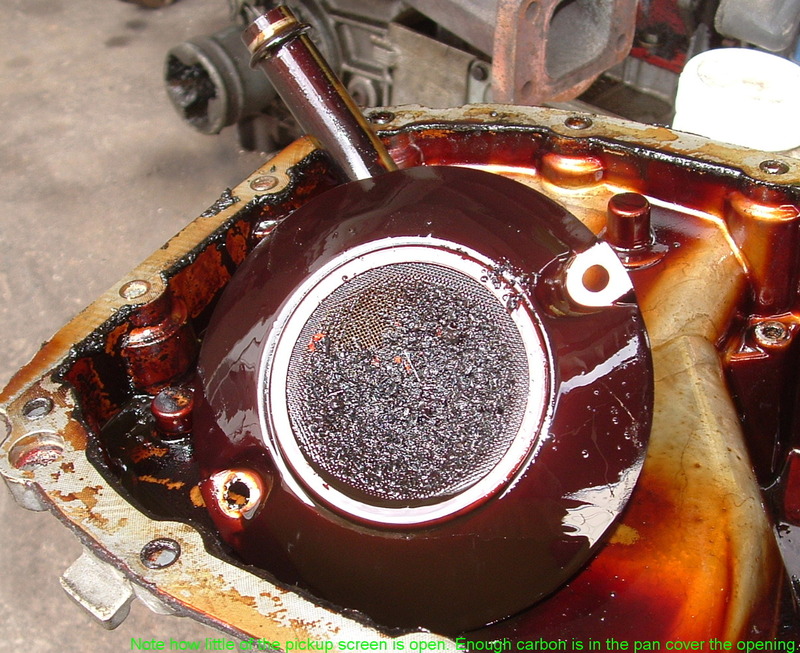 If you are having difficulty finding oil change records run a carfax report as they sometimes show maintanence service providers mileage reports. I would assume that this would be larger chains, as our shop does not report any information to them. Perhaps with that data and knowing the area that the car "lived" you can turn up some additional history. A link to a picture of a clogged screen at 16,000 miles! Prevent SAAB 4 cylinder engine failures. SAAB 900, 9000, 9-3, and 9-5 can all benefit from this modification. 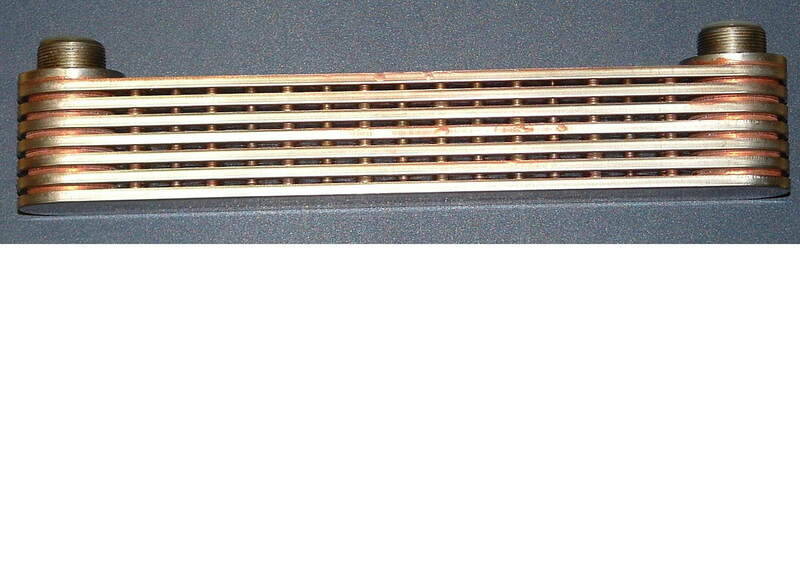 One solution for SAAB oil pickup screen becoming clogged with sludge and/or oxidation product particles. We are not the first to use this method, but we felt that an engineering explanation of the method was in order. The author of this document (blue text) is D.O. Schultz. Mr. Schultz is a retired engineer, pilot, and FAA licensed airframe and powerplant mechanic, and has driven Saabs for many years. Currently he owns a 9-5 wagon. 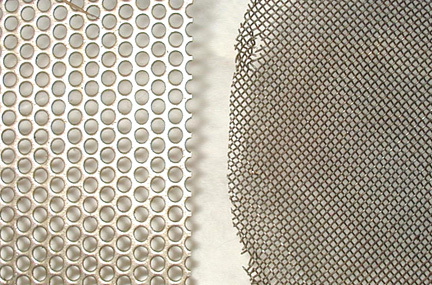 The existing wire mesh screen has an open area on the pickup of 62mm diameter, which equals 4.67 sq. inches of area. 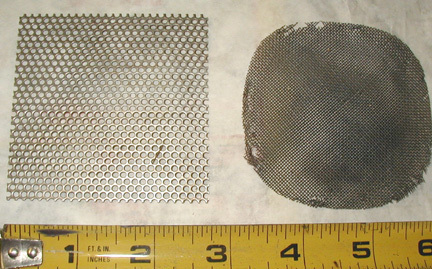 This particular screen, called 30 mesh, is manufactured .011” diameter wire, spaced .033” on centers, in a square pattern. Openings are .022” X.022” and .031” on the diagonal. This equals an open area of 40.8 % or 1.91 sq in which is about 410% of the pickup tube ID area. Replacement screen vs original. Placing a strong magnet on the back of the pickup is advised. The proposed replacement screen is based on proven history in the Continental TSIO-360; a 220 hp turbocharged, intercooled aircraft engine that has been is use for over 30 years. In this application, there is only 1.1 sq in of total screen area and the perforations are .081”diameter, resulting in an open area of .385 sq in. Normally this screen remains clean at oil change intervals of 50 hours (which equates to about 3,000 miles of highway driving) unless there is an internal part failure in the engine. Using this historical example, the screen shown is made from 22 gauge mild steel using .079” diameter perforations, staggered on 7/64” spacing. This equates to an open area in the modified SAAB pickup, when directly replacing the wire screen, of 46% or 2.15 sq inches, which is 474 % of the pickup tube ID area. The factory screen allowed passage of a particle of up to .022” and the replacement screen allows passage of particles up to .079” diameter. This equates to a 260% increase in particle size and a 12.5% larger open area for less overall screen restriction. Careful examination of the ”sludge” reveals that it is primarily composed of small granules of what appears to be cooked oil and is not a hard substance like combustion chamber carbon particles. These granules should not cause any harm to the oil pump and will be trapped in the full flow oil filter and thus not continue to circulate in the oil system or serve as a clogging agent for the pickup screen. It goes without saying that the oil filter must be changed at each oil change and in our opinion this period should not exceed 3 to 5,000 miles or every 90 to 180 days. Head Gaskets on 1994 and later engines are leaking. SAAB has published more than 2 service bulletins relating to this problem. SAAB suggests retorqueing the cylinder head bolts, which we have been doing, but some engines have broken head bolts too. We now recommend replacing the head bolts, depending on the type found when working on the engine. Replacing all ten adds $46.00 to the job. WE offer an upgrade to the engine oil cooler for V6 engines in SAABs. When the oil cooler fails engine oil goes into the coolant.